I found a template for a pop-up gift card holder on the PaperCrafts Connection Blog and wanted to try it. I have a bunch of teacher friends, and they always insist that one of the gifts teachers like best are gift cards. I’ve always made pocket gift cards, but thought this might be different and fun. The card kind of hands the gift card out LOL! For the card, I used the Summer Swim Cling set and the Pink Lemonade Paper kit. I think teachers are about ready to celebrate summer by now! The card is made from the yellow cardstock and the pop-up is made from the green. Here is the template for the pop-up. I did not make this template, it is from the Paper Craft Connections blog. For my pop-up, I cut the paper 5.5″ wide and 6″ tall and scored and folded it as shown (their template is 6″ by 6″). I added a small amount of adhesive to the ends of the card holder valley to help keep the pop-up tight. To install the pop-up, apply adhesive to the bottom (1.5″) section and adhere it to the card base right along the fold. Then press the pop-up flat (like it would be with the card closed. Apply adhesive to the back flap and press the card closed. This will help position the pop-up. I cut out and embossed Gwendaline with a circle die and then inked the background with Tattered Rose Distress Ink and a Duster Brush. She is matted with a scalloped circle die. I created the strip on the front by punching both sides with the Apron Lace Border punch and adding a paper strip from the paper kit. 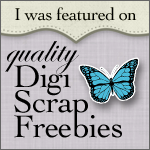 And don’t forget our free shipping offer in the Paper Garden Projects store – just in case you need a few more supplies. This entry was posted in Rubber Stamp Projects, Tutorials and Quick Tips and tagged border punches, Copic Markers, Eat Cake Graphics, tutorial on June 3, 2009 by Cathy. WOW! This is too cool, clever & unique! Thanks for the instructions! I love your card. What a great job. Thanks for sharing. Wow! This so cool! Thank you so much for sharing the great tutorial!!! This is so neat!! Wonderful project! Wow. Brilliant! I’m so stealing this gift card fold. These days 90% of the gifts I give are gift cards. This is adorable. I love the image you used. Thanks for the tutorial. This is a great way to present a gift card. That is one beautiful way to give a gift card away. Thanks for sharing! Hi Cathy! Thanks for sharing this tutorial. It’s such a clever idea and I’m glad you mentioned the measurement change so it will fit in an A2 card. I’ll be creating some more for a fundraiser I’m doing and have linked you in my post! Thanks for the toot, I’ll be sharing this site when I post my “Just Beachy” card – hopefully tomorrow!